The great and interesting concept was created by Shamant/Syndrome and was called Planet Genosis, but it obviously lacked a good execution and also positional balance due to the ramps. Having the opportunity of inverted ramps, noname picked this map and turned it into a jewel: filled to the brim with tactical possibilities, it really demands skill to take the full potential of it. That is why the great concept is now executed very well and deserves to be MotW 19.2006. This great map is an extremly beautiful example of how to provide a fluent and comfortable gameplay. A clever expansion layout forces the players to play aggressive and offensive. 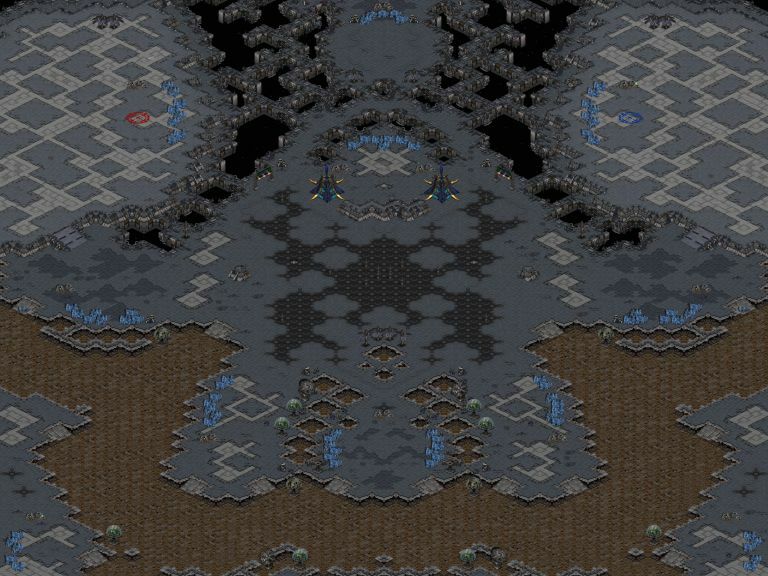 With basic means, MillenniumArmy managed to create a map that is outstanding in execution and gameflow. 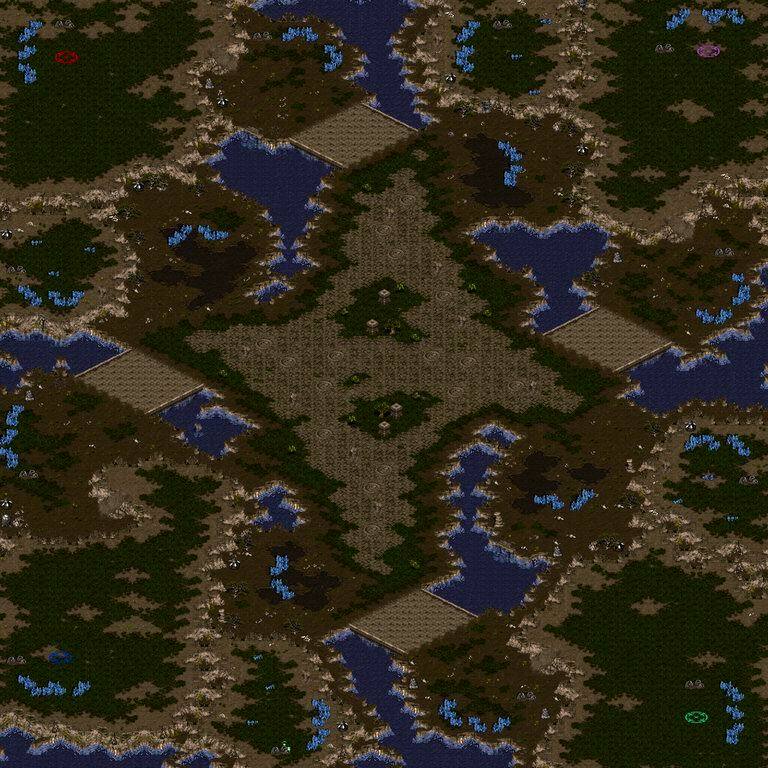 There is no need for fancy stuff like nautral buildings or mineralwalls to make a decent map, which also plays well. Being a proof for this, MillenniumArmy's map received the honor of motw 18.2006. Starparty, trcc, Travin, JK)Valkyrion, lnept, ScoutWBF, NastyMarine, SummerSky, flothefreak, Panschk[FP], noname, SpitFire, MillenniumArmy, Nightmarjoo, Arden(WoF), Listoric, Snooky, LaO-Artanis, Djin)XuuL(, SpoR[Mech], maximumdan, StrikeR, Cyanides, king of 8 plr maps, MuShu, decafchicken, Yenku, boongee, STIMEY D OKGM FISH, --v mOsQ and epidiOn! 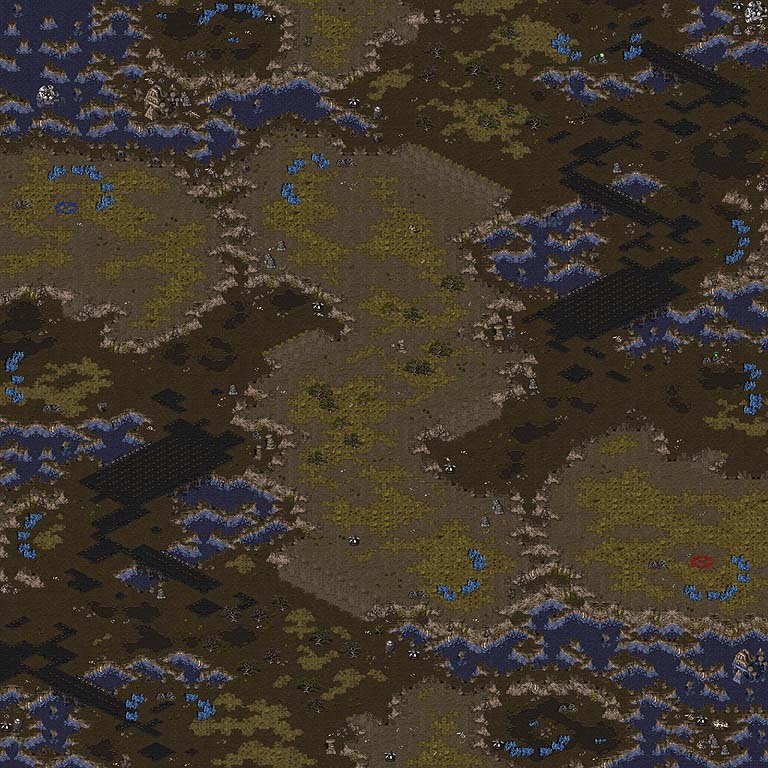 It's time for the new Map of the week. Again, it's spitfire who takes the win. But it is the first time he does it with a four-player map. The Artist is a a pretty standard 4-player map, that reminds me of Sattarchasm a lot. So while the concept is nothing special, the execution is still on a level not many mappers can reach. There is no observer version for this map yet though, I would really like to see Spitfire making one asap. This situation is similar to LGI and Darinas Feelings. It is not the best thing to happen, but it must be done early enough, and I am the only one caring. So even if you do not like that move - I also could imagine a more beautiful decision - you have to give to me that I am doing the dirty work now. And this is the first time that I get something out of it. It is a well tested and very interesting Map for 2 players in Space tileset. It is divded in two parts. The upper half of the battlefield is marked by the player's naturals and a large open field as connection. The bottom part of the map however is totally different. On the bottom, you find a maze made of platform and rusty-pit paths. This is where most of the neutral expos are located. The mentioned paths are connected in many places with the rest of the map so they provide a lot of tactics and dynamic gameplay. The heart of the map is an uncommon expansion which is divided in two. 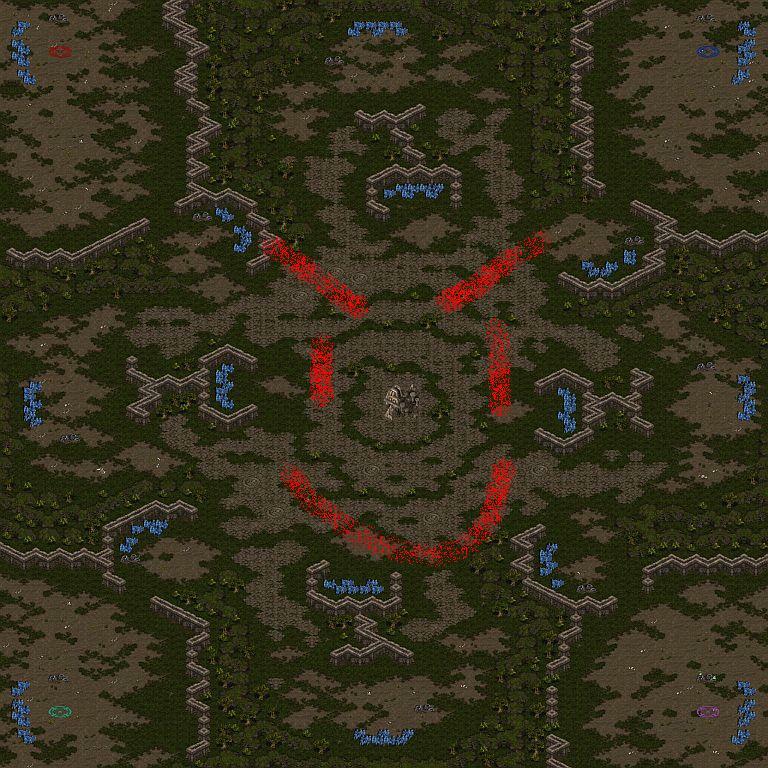 Afraid of your neighbour's minonly, you can just place your mainbuilding to "your" side of the mineralwall while still being able to get the gas easily. If you are bold, you can place another mainbuilding next to the first one so you are able to mine the other half of the expo as well. However, as long as you stay on "your side" of it, you're even safe from siegetanks - unless they're dropped to the rusty pit above this expo! Enough of description. The map has proven to play very dynamically and smooth, with many battles taking place all over the map. From large fights in the open center, to drops onto the expos, harassing shuttles and mutalisks, vultures sneaking up and down mining the ramps and finally severe combats about the isle to get access to the gas geyser there - the gameplay is fast, aggressive and turns rapidly, from above to bottom, rust to space, top to bottom part and so on. So, even under the current circumstances, I think this map is worth MOTW and I hope it will get you out there all playing and showing some bold moves! You want to have this map? Get it HERE (melee) or HERE (obs). Uploading replays is also possible, just click here.